Result of the national farmers’ organization federations forum (NF3) board election. 1. Mrs. An Sarun come from CFAP Cambodia, there are 5voters from CFAP Cambodia. 2. 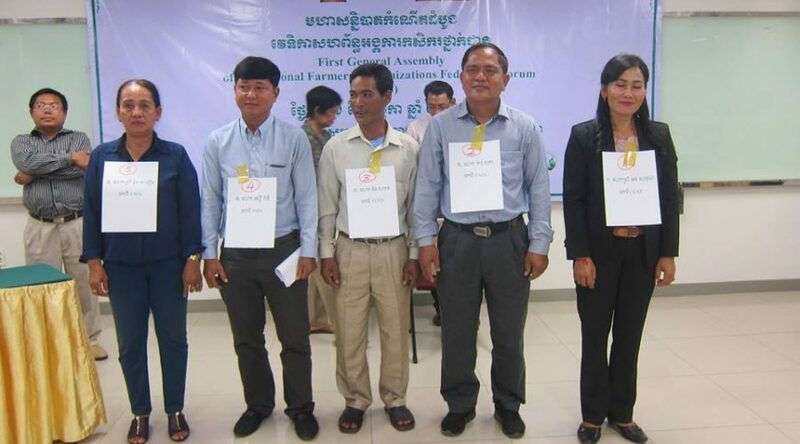 Mr. Keo Sokha, come from FAEC, there are 5voters from FAEC. 3. Mr. Din Sakhon come from FCFD, there are 5voters from FCFD. 4. Mr. Seu Rany come from FNN, there are 5voters from FNN. 5. Mrs. Rom Saroeun come from FWN, there are 5voters from FWN. Total voters come from 5 FOs led x 5ps each equal 25voters. As a result, we would congrats FAEC, and I really can say amazing sorry for​ poor FCFD!